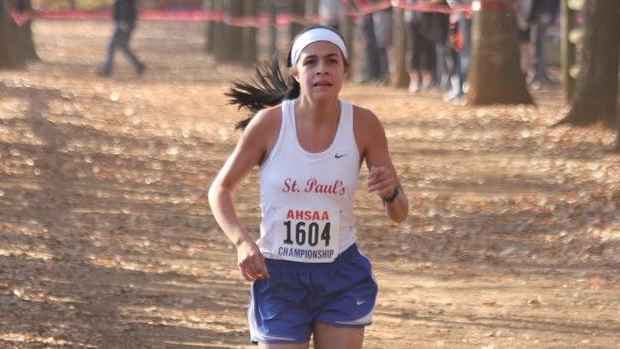 The St Paul's Girls are a traditional 5A powerhouse and 2017 is no different. We spoke with Coach Tate to find out how his squad looked this year. 1. How many years have you been coaching high school cross country (and at your current school)? 2. What do you attribute as the main reasons for the success of your program? 3. What would be the best way to describe your style and philosophy of coaching and working with high school runners? 4. What are your core beliefs in your training plan and workouts for your cross country squads? 5. How many runners do you return from your top 7 from a year ago? 6. Who is your projected top 7 heading into the cross country season? 7. Who are your team captains or leaders and what stands out about them as examples for the rest of their teammates? No team captains have been selected yet; all of my leading girls are either sophomores or freshmen. Isabel is a natural team leader by example and commitment to improving herself and her teammates. 8. Who have you been most impressed or surprised with their improvement and/or fitness from their summer training? 9. Any impactful freshmen or transfers to join the team this season? 10. What are the top invitational meets that your team will be attending this season? 11. What will be the biggest obstacle or challenge facing your team this season? 12. What will be the biggest reason why your team is successful this season? 13. What is a favorite annual or common pre-season workout or run for your team? Nothing in particular stands out as favorites @ each part of the season, but we do try and transition to more quality and less volume as we approach the end of the season. 14. What are your top 3 goals for this year's squad?